So way back here, I said that I probably wouldn't appear in any of the pictures in this blog after that first one. So I lied. 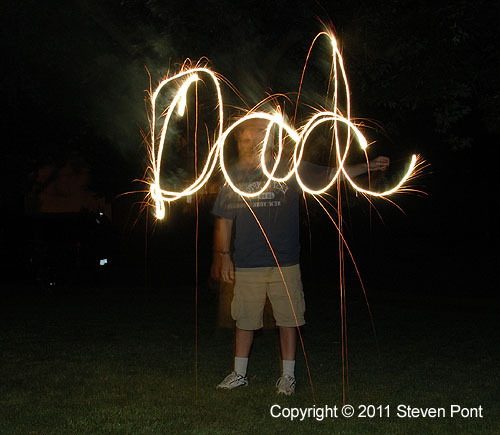 This is my third triumphant appearance, labeled with my trusty sparkler in case there was any question about my identity. Yeah yeah, I know. This would have been a good post for Father's Day and I'm about two months late. Sorry, but inspiration runs on its own schedule.